This is the sermon I delivered on the first day of Rosh Hashanah, September 10, 2018. You can listen using the player below or read the text. Marshmallows are my secret weapon. The only surefire way to get both of my kids to do something they aren’t particularly fond of doing is with the promise of a marshmallow. I know it goes against a lot of sound parenting advice to use food as a motivator, but I’m pretty sure there’s an exception for marshmallows. You can look it up. The problem is Shiri and Matan are at two very different stages. Only Shiri can really grasp what it means to get different types of rewards for different actions. But they both understand marshmallows. There’s something about the way the cloudlike sweetness melts in their mouths that can get them to do just about anything we ask. And for parents, marshmallows are great too. They don’t get gooey until they’re super hot, and the ones from Trader Joe’s are kosher and vegan. I give marshmallows all the credit for saving our tushes several times on a recent long trip. Kids getting too rowdy at shul? Pass a marshmallow. It may not be long-lasting peace, but we take what we can get. I know what you’re thinking. You want a marshmallow now, don’t you? Or maybe you’re thinking about a famous experiment about delayed gratification, the marshmallow test. If you’re not familiar with the marshmallow test, it was a series of studies done in the 60s and 70s at Stanford in which a marshmallow or other treat would be placed in front of a child. The child could choose to eat the marshmallow right then, or if the child could delay gratification and wait 15 minutes, the child would be given two marshmallows. Here’s what they found with this original test. Demonstrating the willpower not to eat the sugary treat seemed to be a predictor of the kid’s scholastic ability, specifically their future SAT scores. In other words, this test seemed to show a correlation between the ability of a child to delay gratification and how well he would succeed later in life. First of all, if I were to run this test on my children, I’m pretty sure they would fail. But how can you blame them when our entire world is instant gratification? As society and technology evolve together, we have more and more opportunities to get anything we want as fast as we want it. Craving a favorite food and don’t want to leave the house or office? You’re not limited to restaurants that offer delivery anymore. Use DoorDash or Uber Eats and get practically anything delivered. Want to watch a TV show, but forget to DVR it? No problem, you can stream it online. What the heck, just binge the entire series on Netflix. And forget about stressing over taking perfect photos on your camera or waiting for a roll of film to be developed. We’ve gotten so used to the instant life that even fast things seem slow. I’m sure I’m not the only one who experiences the excruciating pain of awaiting an important email response by checking my phone every 30 seconds to see if it came through. It seems like technology itself will never catch up to the level of our expectations for it. Our world is becoming one where we have limited patience to wait and see what happens next. With the ease of email, text messaging, and Twitter, we share our thoughts instantaneously, and we seek feedback immediately. But with this quick-to-share, quick-to-respond mentality, we seem to forget the whole point of communication in the first place. We forget to actually read what others are writing. That means our search for instant gratification can lead us to miss really important human cues, sometimes cries for help or connection. When the Israelites are in the process of accepting the commandments of Torah and Jewish life from God, they respond to Moses by saying, “Kol asher diber haShem, na’aseh v’nishmah.” All that God has said, we will do and we will listen. The mandate of Judaism isn’t merely to “do this, don’t do that.” Our mandate is to do good in our world and listen to those around us as well as to God. The mitzvot we observe have an active component that we accomplish by doing, and a reactive component that we accomplish by listening, by actually opening our ears to calls for help. Where do the marshmallows come in? Well, if you’re thinking it sounds ridiculous to claim that eating a marshmallow or waiting in order to eat two marshmallows can have an impact on your SAT score, you’re not alone. Researchers from NYU and UC Irvine thought so too, and they decided to redo the experiment, but with ten times the number of participants and taking into account factors like the social and economic background of these kids. You know what they found? Delayed gratification wasn’t the determiner of success. Success was the determiner of delayed gratification. When they accounted for things like household income, the kids who came from families who were better off or better educated were, on average, the ones who performed better. For example, among the kids whose mothers had a college degree, those who waited for the second marshmallow did no better in the long run than those who ate the first marshmallow right away. By the same token, among kids whose mothers did not have college degrees, those who waited also did no better than those who ate right away. How do we give our children and ourselves the best chance at success? It’s not by teaching them to delay gratification. It’s by teaching them to consider consequences and ask “Why”. Think about what happens if you eat this dessert. Will it mean no dessert later? Will it mean a greater risk of cavities? If you’ve considered the options and still want to eat the marshmallow, for goodness sakes, eat the marshmallow. And when it comes to communication, if there’s something on your mind that you think needs to be said, sleep on it first. Talk it over with someone else. Roll it around in your mind, and if you still think it’s worth saying, then say it. Where we run into trouble is when we speak first, and then consider the consequences after it’s too late. Na’aseh v’nishma – do, and listen. Yes, have an opinion and get things done, but also have compassion and get to know people. Who says that your opinion is more valid than someone else’s? It’s easy to be passionate about a topic, and when we’re passionate and have something to say, we want to push it out into the world in a fury of keyboard strokes. We want to be the first one to comment. To me, the updated marshmallow test is much less about who’s right when it comes to delayed gratification, and much more about having enough information to create an accurate study in the first place. It’s not a test of the children. It’s a test of us. Can we see that some people are struggling to put food on the table? Can we see how much where we come from is affecting where we have the ability to go? In this new year, let’s slow down the assumptions and the immediate feedback. Instead, let’s rush to accept and acknowledge. Let us stumble over each other being the first to listen. I don’t know if you were aware, but there was a major ruling in Jewish law in May of this year. This may have significant implications regarding your Jewish observance, so I urge you to take note and give serious consideration to the gravity of this decision. This past May, rabbis at the Scientific and Technological Institute for Halacha in Jerusalem determined that fidget spinners do not violate the laws of Shabbat. Stop the presses. Not the cider press, of course – that’s still happening downstairs, right now. This silent, yet still annoying toy that has become the bane of the PTA is just fine on Shabbat. The explanation is simple – except for the fidget spinners that light up, which are still not allowed – these little devices don’t require any electricity. They’re propelled by your own fingers, and ball bearings provide the smooth, frictionless spin. You may ask, “Rabbi Eve, there are lots of legal responsa out there. Why do you care about this one?” The answer is because – legal ruling or not – Judaism doesn’t need fidget spinners. We had fidget spinners long before there was anything called a fidget spinner. I spend a lot of time in my d’vrei Torah and other outlets, like this sermon today, talking about experiencing and living Judaism. Is it any wonder? My masters degree is in experiential Jewish education. It is my mission to show and tell you that you need not be a rabbi to lead a hands-on Jewish life. So much of what we do is literally hands-on. Touching and kissing a mezuzah. Touching and kissing the Torah. Using the light of the Havdalah candle on our fingernails to show that we’re close enough to the flame to distinguish different parts of our hands. The shaking of the grogger. The shaking of the lulav. And of course there’s the ultimate and original Jewish fidget spinner, the tzitzit. Show of hands – is there anyone like me who recalls sitting in shul when you were little and playing with the tzitzit on your dad’s or grandfather’s tallit? It was only the dads and grandpas back then of course. I have vivid memories of braiding my Papa’s and Zayde’s tzitzit or being wrapped in them in the chilly sanctuary, quietly snoozing while the rabbi gave his sermon. Now that I’m older, I’m somehow both the rabbi and the parent in this story. Even as adults, our fingers naturally and mindlessly drift to those beautiful fringes, which are meant to serve as a reminder of the mitzvot through their knots and string. There is something about a tactile experience that is strongly associated with learning and memory, and there are some fascinating studies exploring why this is true. Dr. David Linden, a neuroscientist at Johns Hopkins, published some of these findings in 2015 in a book called Touch: The Science of Hand, Heart, and Mind. In his book, Dr. Linden explains some of the science behind our associations with touch, including the evolution of two distinct parallel pathways for processing the sense of touch. One pathway is responsible for the distinguishing characteristics of an object. Where is this object I’m touching? How much pressure is on it or is on me? What’s the texture of it? In other words, these are the facts about touch. The other pathway is for social and emotional context. This pathway activates the regions in the brain responsible for pleasure and pain and social bonding. Both of these pathways give us signals about whatever it is we’re touching, and therefore, how we feel about something can affect how we feel something. The way language works is so interesting, isn’t it? How we feel about something can affect how we feel something. Dr. Linden uses the example of someone putting an arm around your shoulder. It could be the exact same physical stimulation, but imagine the difference in how it feels when it’s a friend, a lover, your boss, someone you don’t really care for . . . in each case the context of the touch affects how that touch registers in your brain. And the sensations and experiences can stay with us for a long time, especially when the movements are practiced and repeated. Has anyone played an instrument, then stopped for a while, and then years later picked it up again to have your fingers remember what to do seemingly without the help of your active memory? Our sense of smell is usually thought to be the most connected to memory, in that smells instantly and unmistakably trigger signals in our brains that match events and people and places. But our sense of touch is certainly connected intimately to us as well. Back to the fidget spinner. So if it turns out all along we’ve had Jewish versions of things to occupy our fidgety hands, what can we gain from the groundbreaking ruling that fidget spinners are acceptable, albeit distracting on Shabbos? Perhaps we can learn from the symbolism of the toy more than from the toy itself. When these little devices peaked in popularity, Chabad published a fun article on their website about finding meaning in fidget spinners. These are life lessons, cleverly viewed through the fidget spinner lens. First, there’s the notion of momentum. Judaism reminds us that our job is to keep moving forward. 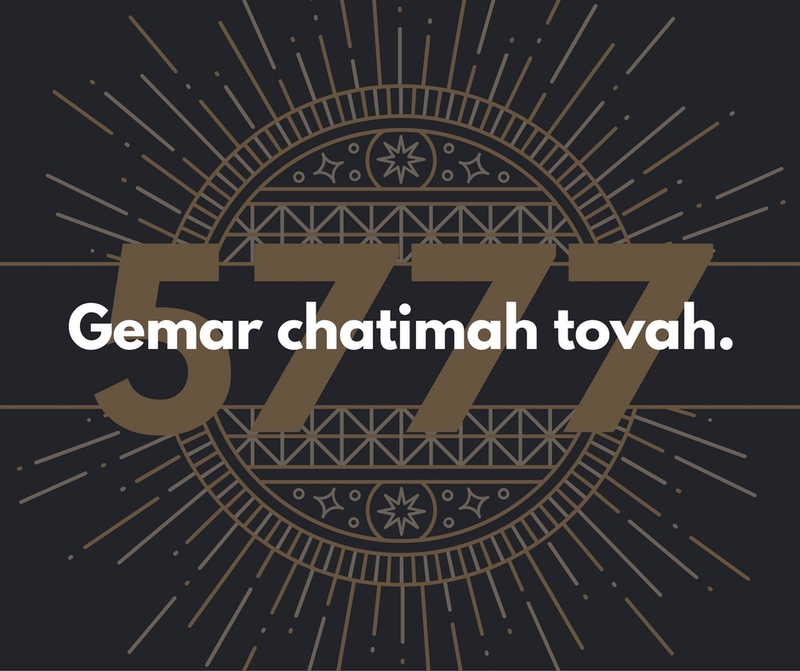 Recall the blessings we give a child at birth and bar mitzvah: “May you be privileged to live a life of Torah, chuppah and ma’asim tovim.” We’re always looking forward to the next milestone, commitment, or experience in life. When you engage in community, in Torah, and in learning you find that you’re always in motion in some way. But before the spinning starts, a fidget spinner needs a good nudge to get moving. A journey of a thousand miles begins with a single step. A Jewish journey begins with a good, old fashioned nudge. And here’s a fun one. Did you notice that most fidget spinners have three arms? It was King Solomon who noted that a three-stranded rope provides the strongest hold. Likewise, our sages noted that a three-legged stool is sturdiest. Al ha Torah, al ha avodah, v’al gemilut hasadim. The world stands on three things. Maybe you see a theme here. There’s nothing magical about the toy itself. At the beginning of this craze, there were all these theories that fidget spinners were the answer to ADHD and even helped kids with autism. If they do help you or your child, that’s wonderful. But let’s be realistic; it’s a fad. However, what we do know is that movement is a part of who we are. Movement in general is what science has shown time and again to be beneficial for a wide range of emotional, developmental, and psychological issues. Gross motor activity, exercise, some type of hands-on approach – that’s what is making the difference. You could say the same about the countless examples we’ve seen over the last few weeks of people responding to Harvey and Irma and the wildfires here in our own state. If you’re providing help – if you’re taking the time to find out what and where the need is and offering even the little bit that you can – no one is going to ask you why you didn’t give more. On the other hand, if you stand by and do nothing, then you’re the one who will be left asking yourself why. It’s the action of helping that defines us as Jews, and we are all capable of some action, however large or small. It’s the action itself. That’s the message of the fidget spinner. It’s a reminder that the experiential Judaism that I preach is as simple as putting your fingers together to light the the Shabbos candles. The tactile feeling is as attainable as dropping coins into a tzedakah box. And whether or not you’re here every Saturday or you can fit in one daily minyan every third month, it’s about the feeling you get when you run those tzitzit through your fingers. Shanah tovah. Gemar chatimah tovah. In this new year, may you be sealed for health and prosperity. Just a quick word of thanks to everyone who has followed and supported my writing over the past year (and before). I hope it has benefited you in some way, even if it was just to cause a smile or a thought-provoking moment in your day. Also, you may have noticed that the last two posts have appeared under the username of my loving husband and faithful editor Duncan. As a social media professional, Duncan thankfully manages my blog, and occasionally it gets a little confusing having him log in as himself to post d’vrei Torah that I’ve emailed to him ahead of time. It is without a doubt a team effort, but hopefully that clears up the username error from the last two weeks. Now the real fun starts. We’re going to do some Rosh HaShanah math. Don’t worry, this is fun math. And that’s coming from me, for whom there is no more moronic oxymoron than “fun math.” And since it’s yuntif, I won’t ask you to show your work. Ready? Here we go. The modern Egyptian village of Qantir is widely believed to be the location where Ramesses II built his great capital. The math hasn’t started yet, I’m just giving you some background. Of course we don’t know for sure that Ramesses II was the pharaoh we refer to as “Pharaoh,” but for the sake of Yule Brenner’s legacy, we’ll say he was. Here’s where the math starts. Qantir is located about 280 miles from Mount Sinai. So allowing for some interpretive reasoning, we can guess that 280 miles is approximately the distance the Israelites traveled from receiving their freedom to receiving the Torah. Keep that number in your head – 280 – while we move to the next number. On Shabbat mornings when services are in the sanctuary, the Torah generally follows the same path through the pews. You probably knew that. What you might not know is that the round-trip distance – in other words, the parade when we take the Torah out plus the parade when we return the Torah to the ark – is about 0.06 miles. That’s six hundredths of a mile. Now of course not every service is in the sanctuary, including this one, but if we imagine this is around the distance traveled each week, then after a year of Shabbatot, our Torahs have traveled just over 3 miles. Do you see where this is going? If you started coming to shul as a baby and followed the Torah around the sanctuary each week, after 90 years of Shabbat services, you will have traveled the same distance the Israelites traveled when they originally received the Torah. Like I said, I don’t do a lot of math. But I do love knowing how far I’ve walked, so my step-count is kind of the exception to the no-math rule. If you’ve spent any time with me this year, you know that a highlight of each Tuesday, my day off, is the two and a half hours I spend outside, rain or shine, pounding the pavement. I walk. I walk to clear my head, I walk to come up with great ideas, I walk to feel good. And for me, walking is also a solitary, reflective time. I often walk alone, and as strange as it may sound, I don’t listen to music or talk on the phone. It’s a time for me. Show of Fitbits, how many people have some type of fitness tracking device? I bought my Fitbit Charge last December. This incredible little device sits on my wrist, and magically counts the steps that I take every day. Not only that, but if I sync it with my phone, I learn all sorts of information about how active I am in a day, how many calories I eat, how many calories I burn, how many flights of stairs I climb, and how fast I move. It can even track my sleep patterns. And when I hit my daily step goal, I feel a short little buzz against my wrist as a reward to keep me motivated. A tiny little buzz for a job well done means a huge sense of accomplishment for the day. And let me tell you, I work for that little buzz. In fact, your very own Neveh Shalom staff can get pretty competitive when it comes to step-count. I won’t name names, but rest assured there is a healthy level of one-upmanship around here that only pushes us to walk more. The competition is paying off, because I can proudly say that since getting my Fitbit, I’ve lost 10 lbs. All told, I have at least three motivators: the reward buzz when I reach my goal, the challenge to keep up with colleagues, and the knowledge that I’m a healthier, more fit person. I’m not being paid by Fitbit for this sermon – although if you know someone who knows someone, I’m open to that idea – these are all simply ways in which this little device on my wrist inspires me to be more active. What inspires your action? Are you more inspired by others or does your “nudge” come from internal motivation? What is your little buzz on your wrist? At this time of reflection on the cusp of a new year, what will drive you to make it your best year? Rosh HaShannah is the time when we are commanded to take stock in ourselves, to do a year-end review of what it is we’ve accomplished, identify where we feel we can do better, and then work towards making active change. This is a requirement of our holiday, to look back on the year. What did your year look like? Where do you hope to do better in the coming year? Most importantly, how will you measure your progress? Perhaps what we need . . . is a “Jewish Fitbit!” We have all kinds of gadgets for measuring physical activity, productivity, and intellectual engagement, but we don’t have one that keeps us religiously motivated and spiritually active. 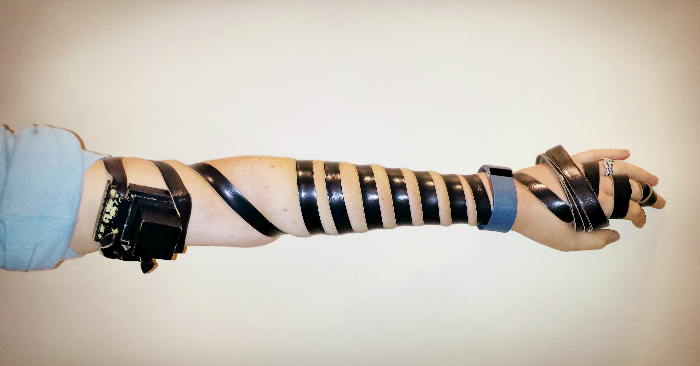 So what would a Jewish Fitbit look like? I need to know, because if I’m going to make my elevator pitch on Shark Tank, I have to get it just right. On my regular Fitbit, my progress is tracked in terms of steps, miles, calories, floors, active minutes, sleep, weight, and hydration. These are all measurable on the single device, and each one tells me about how hard I’m working, how fast I’m moving towards my goal, how I take care of myself physically and mentally, and so much more. Let’s start with steps. My Fitbit measures each individual movement I make during the day. The steps all count towards a bigger goal of 10,000 steps for the day, but each individual step forward still takes me somewhere. On our Jewish Fitbit, perhaps this is the summation of each little thing we’ve done to make positive strides in the world. From the Exodus to the symbolic march of Dr. Abraham Joshua Heschel alongside Dr. Martin Luther King when he said, “I felt my feet were praying,” as Jews we are literally moved to make change. The actions in our world, the steps we take, are measured by the ways in which we work towards doing and bringing good into our world. At the end and beginning of the year, we must ask ourselves how we keep stepping forward in our prayer, in our relationships, and in our mitzvot. When you’ve walked enough steps, you start counting up the miles. These miles add up; they’re cumulative. What I love about the mile count on my Fitbit is that every once in a while I get a badge telling me how far I’ve walked relative to other forms of travel. So far I’ve climbed the flight altitude of a hot air balloon, the length of the Tube in London, and the distance of the “march of the penguins,” just to name a few. Now you understand my fun math a little more. Judaism gives badges for these types of milestones too. In our community our miles are the collective moments we share with one another. We wear proudly the badge of our first siddur, our first aliyah to the Torah, and later our wedding under the chupah. If a step-count or mileage goal seems a little out of reach, wait till you measure your calories. This is the real hard part. In terms of calories consumed, you could easily overdo it just within these synagogue walls. Between the challah, the tuna salad, and every last homemade dessert we pride ourselves on, there are plenty of calories to be had in our holy space. And for the calories burned, you don’t have to look any further than the many man-hours of volunteering mind and body that continue to power our community. What about floors climbed – how would that translate to our Jewish Fitbit? Climbing stairs is hard work, and Judaism is all about lifting up yourself and others. In our daily Amidah we traditionally climb 3 times – we raise up on our toes at “Kadosh, Kadosh, Kadosh,” “Holy, Holy, Holy” we proclaim as we are physically uplifted. But we also climb spiritually and emotionally. We climb as we lift and elevate our souls. Perhaps for you the stairs this year represent finding a way to lift up one another in cooperation, in justice, or in holiness. What are your active minutes? On the Fitbit this is the measurement of continuous movement, the solid cardio. Pirkei Avot teaches us we’re not obligated to complete the task, neither are we free to desist from it. And having a community ensures that we’re not in this alone. We cheer each other on, and we know that our goals are attainable when we feel supported. Just like it helps to have a workout buddy who is your accountability partner, what if you had a spiritual workout buddy? Someone to celebrate with during the best moments and someone to check in with during the questioning moments. Sleep. For me it comes and goes. For Duncan, it’s possible just about anywhere. For Shiri it means a special ritual of bath-time, singing, and a bedtime Shema. This is the time we take to recoup, and it’s absolutely necessary in order to be healthy, in order to be productive. Where the Jewish Fitbit is concerned, Judaism also teaches us that making time for ourselves is essential. One of our core prayers, the V’ahavta, teaches that we should speak of God and speak of Torah when we lie down and when we rise up. Thus, we track our faith even in our subconscious states. In Parshat Vayeitzei in Bereishit, we see this illustrated quite vividly in Jacob’s dream of the angels ascending and descending. Faith awake, and faith asleep. As a side note, the angels are on a ladder as you’ll recall, so this example probably works for “floors climbed” too. Who knew there was so much fitness tracking in the Torah? My Fitbit helps me track my physical weight, but we carry a lot more around with us than that. We carry our memories and we carry our guilt. We carry things that we should probably work to let go of, and things that we can reflect on and hold in our hearts forever. We face a constant battle of what to keep and what to hold onto. Sometimes it feels like a yo-yo diet. During the year, our actions can weigh us down, and at Tashlich we finally symbolically let go of our sins. By literally shedding those carbs, those breadcrumbs, those extra pounds that hold us back, we’re able to start the year anew. Water is essential for life. It keeps our internal bodily systems functioning, and it cleanses and refreshes. It also symbolically nourishes us. We refer to the waters of the mikvah as mayim chayim, “living waters.” These are waters that refresh, renew, and restore our bodies to a state of ritual purity. Interestingly, we often refer to Torah as both nourishment and renewal. The study of Torah can feed a soul, and like a shower after a long workout, learning Torah together with a community can refresh and renew your spirit. So now that we have our Jewish parallels to the data we collect, now that we’ve used our Jewish Fitbit to keep track of these aspects of our Jewish living, what do we do with it? How do we analyze the results? Similar to a fitness tracker, our liturgy has its own built-in procedural standard, a rubric for measuring understanding and growth. The Unetanetokef in Musaf serves as a rubric of sorts for our year, and we measure each of these counters – steps, stairs, sleep – according to Teshuvah, Tefillah, and Tzedakah. Teshuvah: what did we give back and how did we try to better ourselves? Tefillah: how did we interact with God? Tzedakah: in what ways did we grow our community and advocate for justice? This is how we look back at the year and actually see the effect we have during this limited time on our planet. In a world of gadgets, measurable data, and competition, what would it look like to inspire, challenge, and nourish our own souls in this way? The Jewish Fitbit, or the Jewbit, or the Mitzbit, whatever we’re going to call it – I’m taking suggestions, by the way – is the way in which we motivate ourselves to do more, be more, give more. This time of year is about accepting the responsibility to make positive change and identifying new goals we can set. The metaphor of measuring our Jewish involvement isn’t supposed to make us feel guilty, but it is supposed to make us accountable to what it means to be a part of the community. The reward you get might not be a buzz on your wrist every day, but it might be the warm feeling you get when the synagogue building stops being a beautiful place to visit and starts being a home away from home. The reward you get might not be weight-loss, but it might be a healthier, more centered you. Your reward might not be overtaking the step-count of your coworker down the hall, but it might be turning acquaintances into lifelong friends. Like the network of people who use the same device, we’re in this together. When you’re struggling during shloshim, that agonizingly long month after a loss, you have supporters to lift you up. When you cross the finish line of bat mitzvah, you have cheerleaders to sing and dance for your accomplishment. For every mile marker you cross, there will be someone crossing it with you, and there will be another journey to take. We are, after all, a people on the move. If the book of the Exodus teaches anything, it’s that there’s meaning in taking the long way, for ourselves and for each other. Our year is as much about the miles we’ve travelled in personal growth as it is about the number of milestones we accomplish together.